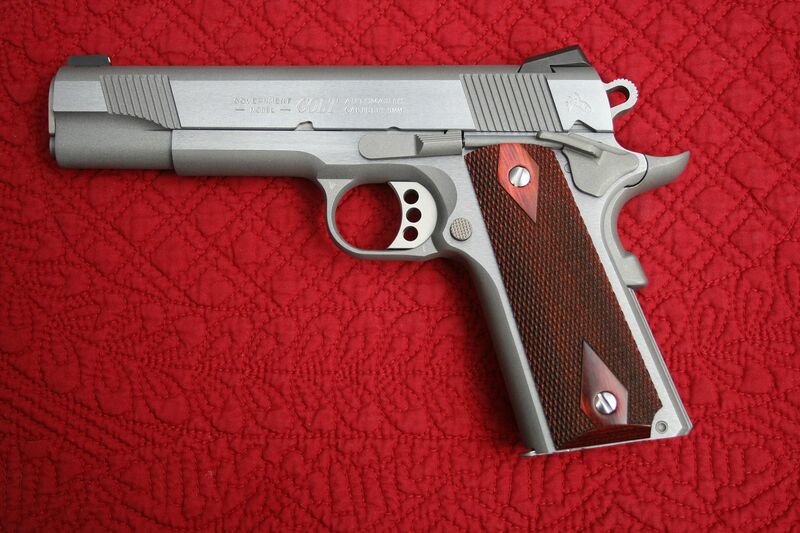 Your pistol also has the large paddle on the thumb safety which Colt changed at some point. Below are three XSE LW Commanders I have. The one on the top is in 45 ACP and made in 2006. It has the large paddles on the ambi thumb safeties. 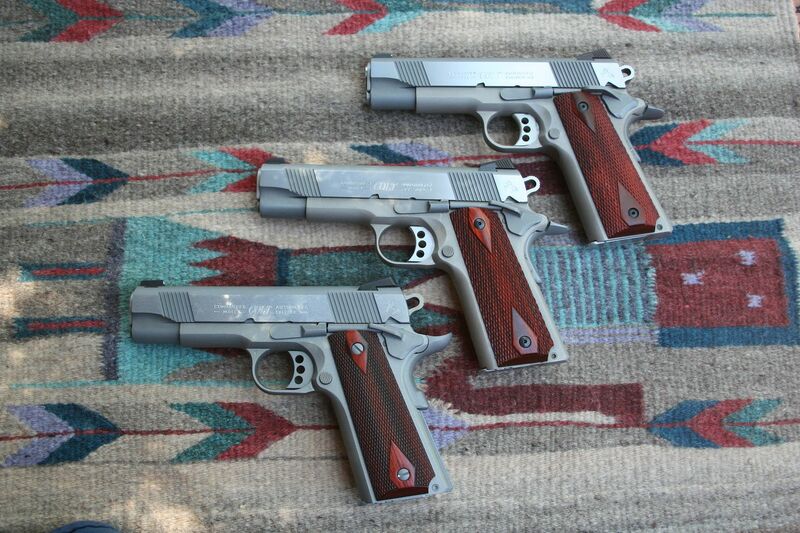 The one in the middle is a 38 Super made in 2009. Colt had thankfully changed the still ambi thumb safety by that year. I think it was 2010 that Colt put the "goosebut" er "beavertail" grip safety on these. The pistol on the bottom is a 2015 in 9mm. In 2015 Colt switched to a righty only safety but that was the last year for most the XSE line. Thankfully my hand is fine with the "duckbill" grip safety so I leave them on pistols that have them. I know some holsters like to flip off the large paddles on the thumb safety so might check that if you are going to carry it in a holster. For another comparison below is a 2015 XSE Gov in 9mm. What kind of wood are the grips made of? I believe those grips are made of cocobolo wood. Thank you. Those are nice looking grips. I sent my Colt XSE off to have the finish fixed up a bit and I'll be getting it back soon and have to make up my mind about a beavertail. Is the beavertail on the photo above a Smith & Alexander? I like how the contours of the tang and safety match. This is a screen cap I did of a Colt and Wilson drop-in beavertail on youtube and the top doesn't look like they match up.